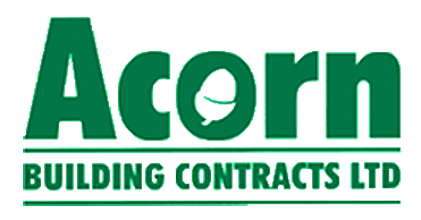 When it comes to investing in the best construction Southampton has to offer, look no further than Acorn Builders for a complete one-stop-shop, professional service. From small decorative projects for the everyday home, to grand scale commercial office refurbishments, the team that delivers our Southampton construction applies passion and dedication to each and every project that they work on. So get in touch today on 02380 243336 to arrange your free quotation. We understand that many people save long and hard to afford to carry out major works on their property, therefore finding the right company to carry out their Southampton construction is incredibly important. We will bring your visions and dreams into reality by delivering a product and service that goes above and beyond what any other construction Southampton company would achieve. For our commercial projects, we understand that many Southampton construction tasks need to be delivered quickly, yet to a high quality. As such, our professionally trained builders are dedicated to each job they’re working on, and will work hard to ensure that every stage is finished on time so down time on your business is kept to an absolute minimum. Great ways to expand living space and add value to your home, loft conversions and extensions, when completed to a high standard, deliver no end of benefits. You can trust our construction in Southampton team to deliver a 5 star service, which aside from carrying out all building work, will include planning and design. 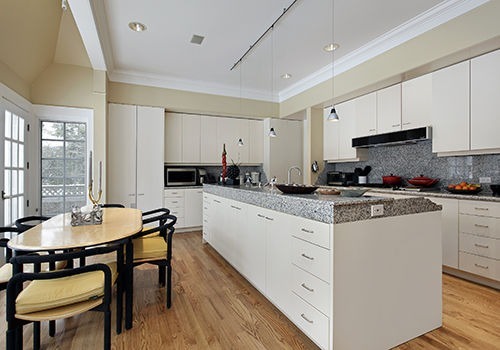 Using our expertise and consulting you to the last detail, we’ll create a room that echoes your vision entirely. The kitchen is at the heart of your home, so allow our construction in Southampton team to kit out a kitchen that’ll make using and congregating in the space a fantastic experience. Our designers will create a kitchen that is completely bespoke to you by talking to you about your preferred materials, colours and layouts. Alternatively, we can liaise with your chosen interior designers to create a truly unique design that’s part of a wider project to make the appearance of your home completely harmonious. We know that sometimes it’s the smaller jobs that stress you out the most, especially if they’re DIY projects gone wrong. As part of our Southampton construction service, we’ll evoke the same care and attention into carrying out any painting, decorating or tiling projects as we do larger projects. Our service is entirely professional; we’ll make sure furniture and floorings are protected and ensure that you’re 100% happy with the standard of finish before we sign the job as complete. From foundations to driveways, you can trust the construction in Southampton team at Acorn Builders to complete all groundwork projects to a high standard. We also offer a full design service and can advise on the benefits and disadvantages of various styles and materials. Fully qualified to operate all machinery both in a skilled and health and safety conscious fashion, we can take care of your job from start to finish. Don’t compromise when it comes to investing in either a new roof or roof repairs. With expertise in all manner of roof styles, trust that as part of our construction Southampton service, we will apply all of our skills to provide a high-quality roof. Our experts will give you sound advice that will help to ensure that your roof is kept in great condition for many years to come. From whole office blocks to single floors, we won’t be put off by the size of the job in hand. We can even complete work during the night to lessen any disruption to the day to day performance of your business. It goes without saying that there are so many companies that claim to provide the best construction Southampton has to offer; so how do you know which company is telling the truth? As a member of the National Federation of Builders, we are dedicated to training our employees to deliver our Southampton construction services to a high standard. As a direct result, our reputation on Checkatrade is glowing, with almost all customers saying that they would use us again in the future. To further ensure the confidence of our customers, we have just been authorised as an approved trader with Southampton County Council’s Buy with Confidence Scheme. Much of our business comes from word of mouth, so you can be sure that our level of quality, professionalism and efficiency comes well recommended. Check out our gallery to see the best examples of construction Southampton has seen. If you’re looking for the highest quality construction Southampton has to offer, look no further than our experienced and professional team. Contact us today for your free no-obligation quote.